WordPress uses themes to control the look and presentation of your site. You can quickly change themes and change the entire look of your site, while still maintaining the underlying WordPress software that powers your site. WordPress themes are kind of like how a new outfit can give you an entirely new look. But themes go even deeper than just the design. They control the layout and functionality of your site as well. You can create different layouts for different types of content with a theme. It’s part of what makes WordPress so powerful. You can change the entire look of your site without ever changing the content or backend structure. 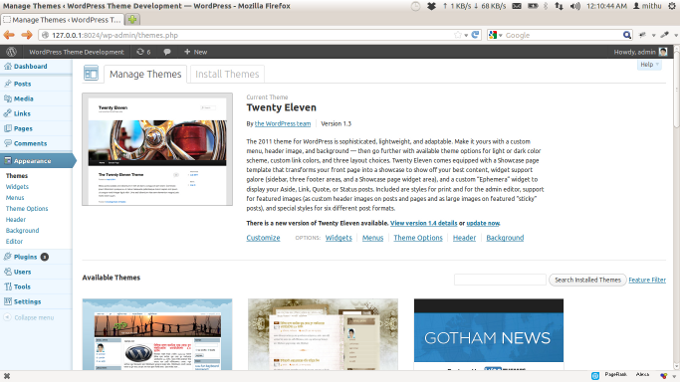 A few clicks of the mouse and you can add a new theme and have an entirely new look. It can make updating your site and keeping things current a much quicker and simpler process. Instead of rebuilding a house from the ground up, you’re just replacing the siding, so to speak. A theme can completely transform your WordPress site, by changing graphics, showing or removing features, adding extra functionality or simply by rearranging the page. If you understand HTML, then most themes are fairly simple to understand. In this series we’ll review some theme basics that we’ll need to use to build our theme in the following series. 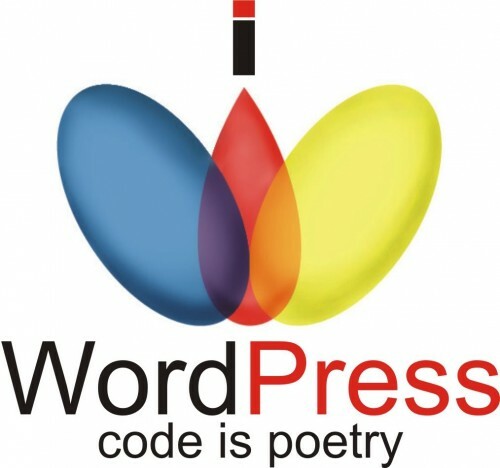 A WordPress theme is a set of PHP files, images and CSS, bundled up in a directory. The PHP files are mostly HTML and structured so that when stitched together they create a single HTML document. So to stitch a file together, you would get the main file – index.php – and then wherever there is an include line like the one shown above, you would swap in the contents of the included file, for example sidebar.php. We’ll look more at includes later. 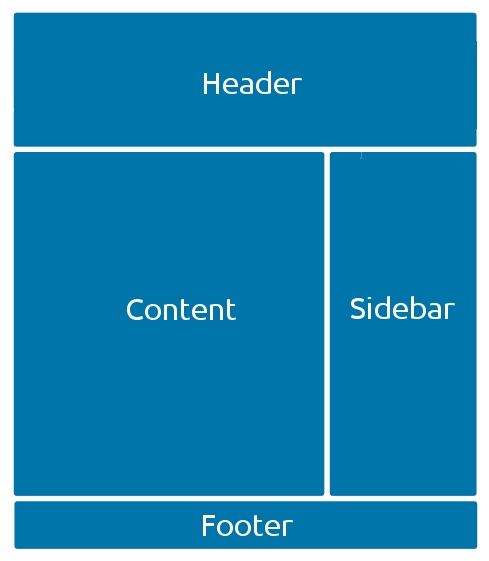 WordPress would substitute the code for an unordered list <ul> of categories before displaying the page. These commands are called Template Tags. You can find lists of Template Tags in the WordPress Codex along with their syntax and usage details. We are now getting ready to develop our first WordPress Theme. Before start, let’s check some task that’s are necessary. Now that we’ve configured our site and created some content, it’s time to make it look good! First we’ll create a basic custom theme, starting with a standard HTML and CSS file. I’ll walk you through the various WordPress template files you can use to make parts of your site look different based on context. As I mentioned earlier, there are many other theme files you can use to customize various portions of your site. Let’s take a look on WordPress Theme files table. In all of the cases above, index.php serves as the fallback. If a more specific template is not present, index.php will be used. See WordPress Template Hierarchy for more information about the theme file hierarchy. The style.css will contain all of the elements that style our theme. We’ll use it to specify the name of our theme as well as the author of theme and his URL, and description, version and tags. Now remember when creating a WordPress theme, the style.css is containing all the styles and working towards index.php file. The index.php file is mandatory for WordPress theme that we’ve seen above table. All of this information can be changed at anytime, but it is important that, all contained within the comments so that it doesn’t affect any of other files and main styles. When you activating the theme from WordPress back-end, all the information showing there given by you in style.css file. Just copy the above code and paste into style.css. And if you want to check the theme name into back-end Appearance > Themes, you’ve to create a empty index.php file in that directory. 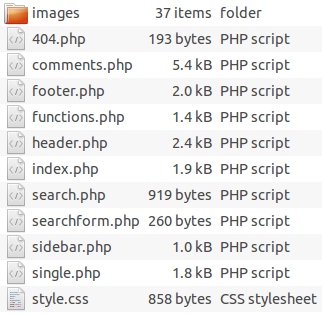 We’ll coding with this index.php file later. Now goto Appearance > Themes from Admin area. You’ll see the theme name is appearing here with other info. Now we’ll edit index.php file to show our first output. Open index.php file in text editor. It is completely empty file. We’ll add some code here to show only the post title. This loop is used to display all published post. Whether there are any posts available in the loop, in the 1st line have_posts() function return bool True if published posts are available. If there any post available, then in the 2nd line loop will start and the_post() function will query form database and iterate the post index. And in 3rd line the_title() function will grab the post title. Now output will show like the image bellow. "Hello world!" is our first published post title and it was published by default during installation. In the next part, we’ll create some basic definitions and layout structure, that we’ll implement in theme’s php files.